Megan Hughes serves as the Firm Administrator of Tarabicos Grosso, working closely with the firm’s partners to oversee the daily business operations of the firm, including office management, human resources, benefit administration, finances, marketing, and technology. 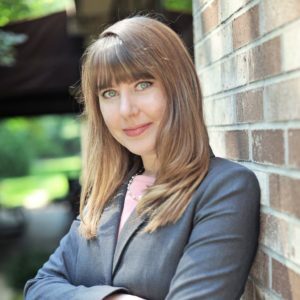 Megan began her career with the firm in 2014 as a real estate paralegal specializing in complex commercial real estate transactions and has prior paralegal experience in the areas of residential real estate and estate administration. Drawing on a background in writing and the visual arts, Megan approaches each new project with an eye for detail and a drive to produce work of the highest quality.